Facebook co-founder Dustin Moskovitz sold off a small portion of his stake in the company, scoring him nearly $9 million. 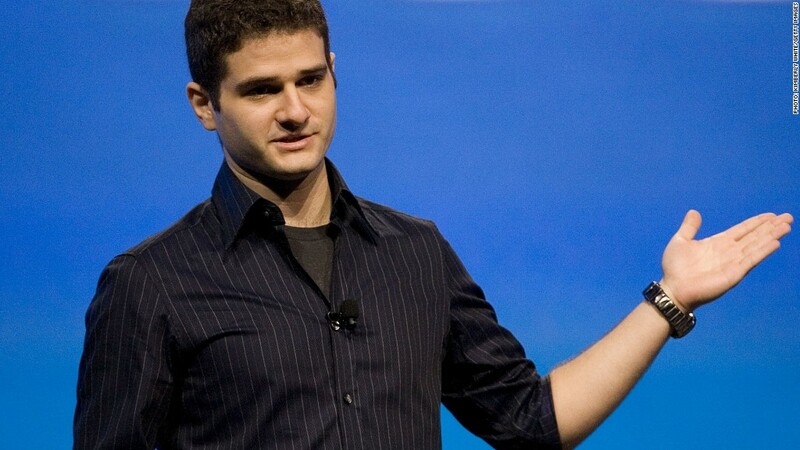 Dustin Moskovitz, one of Facebook's four co-founders, is cashing in a tiny part of his more than $2 billion stake. Moskovitz sold off 450,000 shares in 150,000-share increments over the past three trading days. The shares sold for between $19.38 and $19.99 each, netting Moskovitz nearly $9 million. Because Moskovitz owns a sizeable chunk of the company, he was required to disclose the sale. Moskovitz signaled that he may sell more shares soon: He converted 7 million of his remaining "Class B" shares to "Class A" common stock. Class B shares have 10 times the voting power, but converting them to Class A allows them to be sold publicly. Moskovitz is hanging on to the lion's share of his stake. Even if he sells off those 7 million shares, he'll still be sitting on more than 126 million shares of Facebook (FB), worth $2.4 billion at Tuesday's closing price. Moskovitz's sale is relatively small, especially when compared with that of Peter Thiel, Facebook's first big investor and a member of the company's board. He sold off nearly 80% of his remaining stake on Thursday. Thiel initially invested $500,000 in Facebook in its early days. His recent share sales have turned that investment into more than $1 billion in cash. Thiel's big cash-out has been controversial, though other Silicon Valley investors are been quick to point out that venture capitalists usually liquidate their positions when the companies they've nurtured for years go public. Moskovitz's $9 million payday is a sweet windfall for his work at Facebook, but he's also found success with his own startup: social enterprise company Asana. Other than Facebook CEO Mark Zuckerberg, who sold shares in Facebook's IPO mainly to cover his massive tax bill, Moskovitz is the only co-founder who owns a big enough stake company that he's required to publicly disclose his sales. Facebook cofounder Chris Hughes went on to start nonprofit site Jumo. In March he bought a majority stake in the progressive magazine The New Republic. The final member of the foursome, Brazilian-born Eduardo Saverin, made headlines when he renounced his U.S. citizenship shortly before Facebook's IPO. Saverin now lives in Singapore, but he claimed the citizenship switcheroo wasn't done to avoid capital gains taxes on his Facebook shares. At least two senators weren't buying it. Days later, they outlined legislation that would prevent Saverin, and others who make similar moves, from ever returning to the United States.